Baton Rouge, La - After years of waiting, black farmers began receiving payments this week as part of a $1.2 billion settlement in their discrimination case against federal agriculture officials. Of the $1.2 billion, about $91 million was approved for attorney fees. About 18,000 farmers are expected to get checks over the next few days. Many live in the South. The case alleged that agriculture officials denied loans and other assistance to black farmers because of their race. This settlement marks the second round of payments for black farmers. Thousands received payments as part of the 1999 class-action settlement. The second round, dubbed Pigford II, pays farmers who missed the first filing deadline. 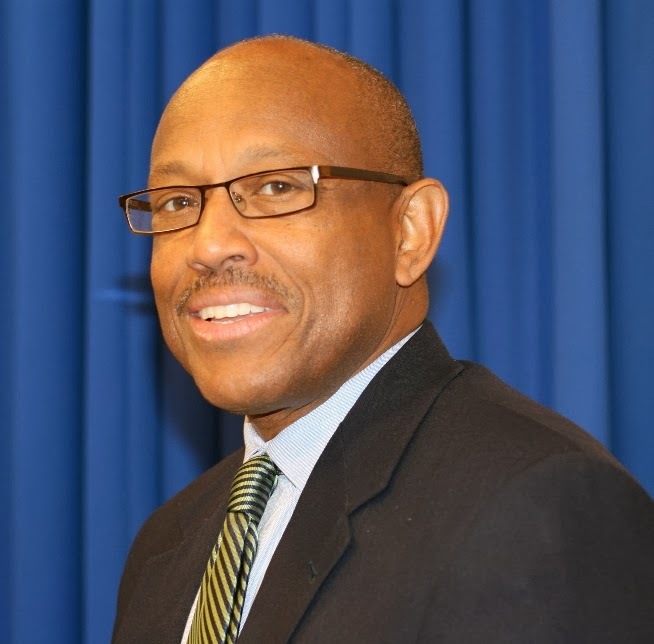 Dr. Adell Brown, Jr., Executive Vice Chancellor and Vice Chancellor for Research, an economist by training, sees the payments as a way to infuse money into farming. He adds that the Southern University Ag Center worked with black farmers in Louisiana who filed claims in the first and second cases. Brown is also reported as expressing hopes that it is not too late for farmers to reinvest in the business, citing the decline in the number of black farmers. Many are hopeful that the funds from the settlement will make a difference. For the full story, see the Daily Advertiser online. Baton Rouge, La - The incidence of overweight and obesity in Louisiana, the United States and worldwide has reached epidemic proportions. The direct medical costs for obesity and obesity-associated chronic diseases are staggering. The SU Ag Center received funding from USDA/NIFA to mitigate this issue. The project is entitled “Combating Childhood Obesity with Caregivers as Change Agents,” or Whey 2 Go Program. The study was designed for 24 weeks and is currently in its 21th week and making strides among participants. 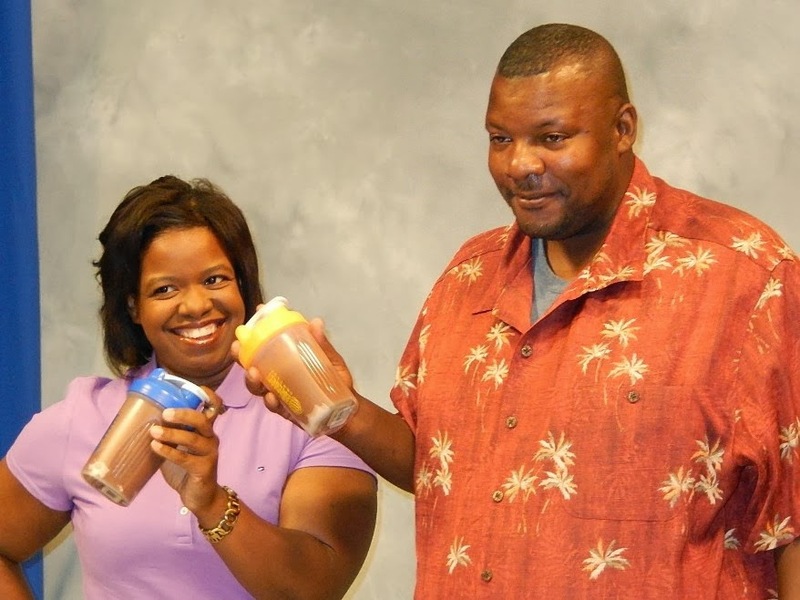 The study involves 26 African American men and women who consume smoothies/shakes every morning. In addition, they receive nutrition education intervention and physical activities once a week during the study period. The results so far have shown lower body weight and lower cumulative food intake during the past 21 weeks of study. Porsche Holmes, who belongs to the study control group, has lost 22 lbs. so far. Dr. Fatemeh Malekian serves as project director on this project funded by US Department of Agriculture/National Institute of Food and Agriculture, assisted by Dr. Janana Snowden. For further details, please contact Malekian or Snowden at 225-771-2242. 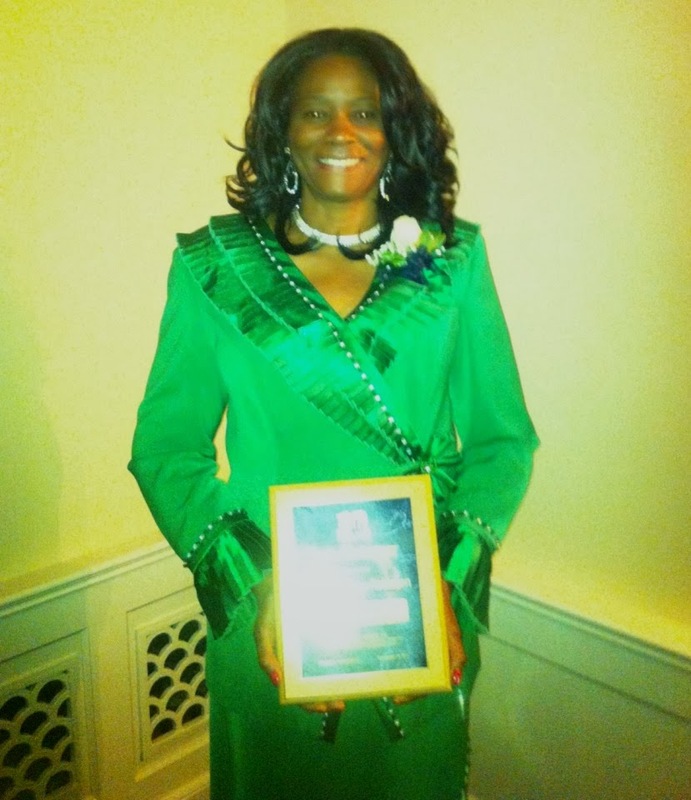 Baton Rouge, La - The National Extension Association of Family & Consumer Sciences presented the Distinguished Service Award to Carolyn Robinson, Extension Associate Agent, FCS, West Carroll and Morehouse Parishes, during the 2013 NEAFCS Galaxy IV National Conference in Pittsburgh, Pennsylvania, September 16-20. Robinson achieved these high honors in recognition for outstanding programming in the field of Family and Consumer Sciences, dynamic leadership and creative implementation of Extension programs, and for personal and professional growth. She received a plaque at the Annual Session. Congratulations, Carolyn! The National Extension Association of Family and Consumer Sciences educates and recognizes Extension professionals who improve the quality of life for individuals, families and communities. Baton Rouge, LA - On September 4, 2013 Economic Research Report No. (ERR-155) revealed that an estimated 14.5 percent of American households were food insecure at least some time during the year in 2012, meaning they lacked access to enough food for an active, healthy life for all household members. Within the same month, another ERS publication reveals that households with children have higher rates of participation in the SNAP program. The ERR-156 report was released September 19, 2013. Estimates of Supplemental Nutrition Assistance Program (SNAP) participation rates—the proportion of eligible individuals who receive SNAP benefits—are regularly published at the State and national level. Estimates of SNAP participation by the elderly, children, or other subpopulations within individual States, however, have not previously been available due to data limitations. ERS researchers overcame these limitations by linking SNAP administrative records to individual records in the Census Bureau’s American Community Survey, using Texas as a pilot study. Researchers found significant geographic and demographic differences in SNAP participation within the State. Nationally, participation rates are higher for households with children than for childless households, a pattern also evident in Texas. 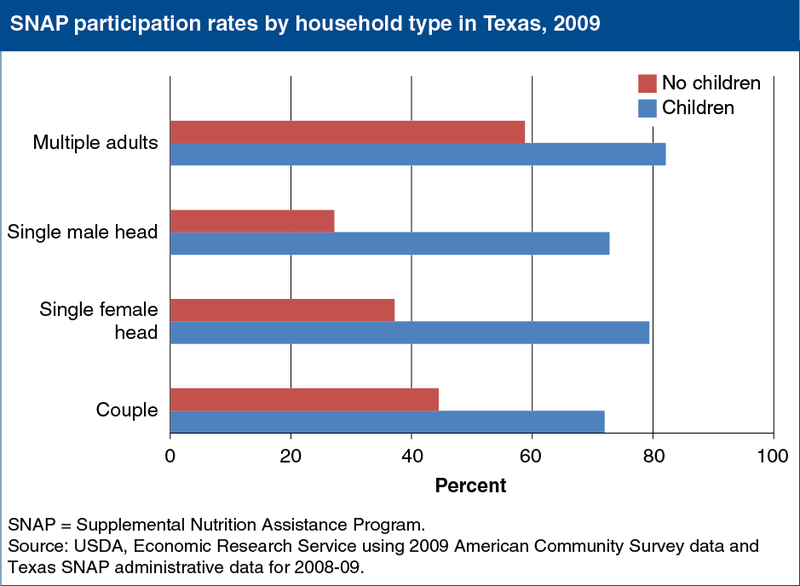 Overall, Texas households with children were about twice as likely to participate in SNAP as households without children in 2009. The presence of children in a household was associated with significantly higher participation across all household types—households headed by couples, single females, single males, and households composed of multiple unmarried adults. The full report is available at the ERS website. To reduce food insecurity in underserved communities, the Southern University Agricultural Research and Extension Center’s Nutrition and the Supplemental Nutrition Assistance Program Education (SNAPEd) team is implementing gardens and nutrition education across the state. The SNAP program at SU Ag Center is led by De’Shoin York-Friendship. For further details, contact Friendship at 225-771-2582 or via email deshoin_york@suagcenter.com. Baton Rouge, LA - The Southern University Agricultural Research and Extension Center prepares students for the annual National Science Day on October 9. 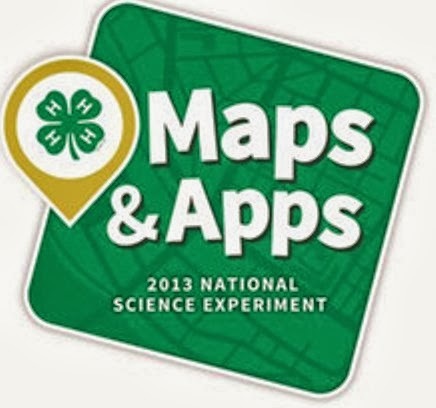 WHAT: As part of 4-H NYSD, 25 youth from Southern Lab School’s 9th Grade Science class will participate in the 4-H Maps & Apps: the 2013 National Science Experiment. With 4-H Maps & Apps, thousands more young people will take the first step as they apply cartography and Geographic Information Systems (GIS)/Global Positioning Systems (GPS) technology skills and become community planners. Designed by the Colorado State University Extension, the 2013 National Science Experiment is 4-H Maps & Apps, a set of activities that will turn young people into geospatial thinkers as they design and map their ideal park, using GIS mapping to solve community problems and contribute data about their community to the United States Geological Survey (USGS). WHEN: October 9, 2013 9:00 a.m. – 12 p.m.
ABOUT: GIS/GPS mapping has applications in numerous fields – from healthcare, national defense and environmental science to agriculture, aeronautics and city planning. For more than 10 years, 4-H youth have been applying GIS/GPS technologies within their communities. In an effort to continue to grow the next generation of leaders pursuing science college majors and occupations that enhance the nation's contribution to the sciences, 4-H NYSD demonstrates that science, engineering, math and technology are fun and attainable options for college degrees and future careers. The 4-H National Youth Science Day seeks to spark an early youth interest and leadership in STEM careers. Currently, more than five million young people across the nation participate in 4-H STEM programming in topics as varied as robotics, agricultural science, rocketry, wind power, environmental science and biofuels. Baton Rouge, LA- This morning, September 21, 2013, the Louisiana Small Farmer Agricultural Leadership Boot Camp at the SU Ag Center graduated the 12 farmers and future farmers enrolled in the class. Each of these farmers has attended, and been very active in the 75-hour course that began in February of this year under the direction of Dr. Dawn Mellion-Patin. Congratulations are in order! The SU Ag Center Administration turned out to express confidence in the graduates’ future success. Leodrey Williams, Chancellor; Adell Brown, Executive Vice Chancellor and Vice Chancellor for Research; Gina E. Eubanks, Vice Chancellor for Extension; Allison Johnson, USDA Liaison at Southern University; and other Center employees were there to bring welcome and good wishes to the graduates. The common thread in today’s message to graduates was helping others. Mr. Frank Taylor, President of the Winston County Self Help Cooperative in Mississippi was the invited Guest Speaker. Taylor emphasized the importance of leaders being at the table when policy decisions are being made, and urged the graduates to become the voice for rural America and to impact the well-being and lives of people, especially the voiceless and underserved. He challenged them to look around and identify needs which they can organize resources to address, and change lives in their communities. Graduates of Louisiana Small Farmer Agricultural Leadership class were: Leroy Conish, Vacherie; Julie Dell, Opelousas; Sharleen Jeanbaptiste, St. Martinville; Rintha Simpson, Pride; Malcolm Braud, Amite; Cleo Braud, Amite; Floyd Prescott, Opelousas; Tammy Armand-Golden, Baton Rouge; Kelli Hollins, Baton Rouge; Michael Dubone, Lake Arthur; Dianne Tisby, Shreveport; and Matthew Tisby, Shreveport. 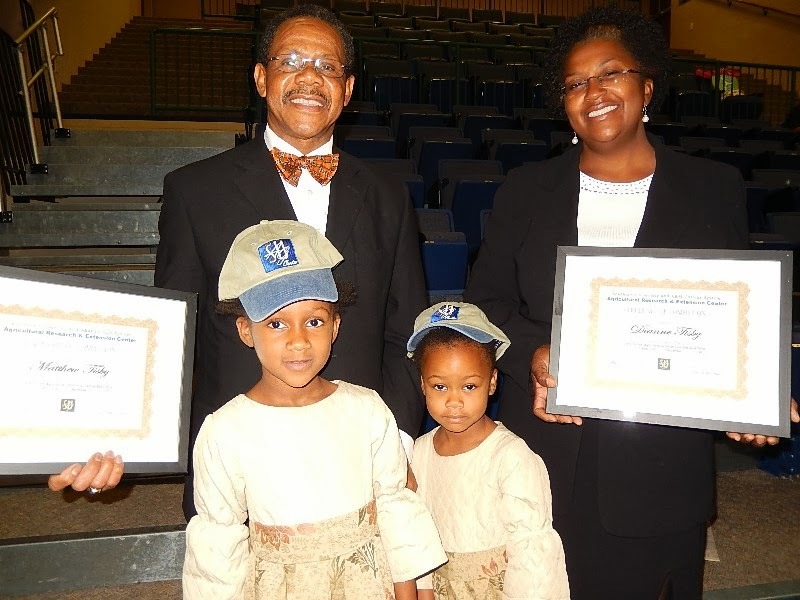 The Tisbys of Shreveport made it a family affair, attending classes with their five and seven-year old future famers. “This class means everything to us; we have now registered our farm as LLC, reorganized our business, and now moving forward,” Dianne said. For further details, please contact Dawn Mellion-Patin at 225-771-2242. Baton Rouge, LA – Rector (Chancellor) of Siirt University, Turkey, Dr. Murat Erman, during a recent visit to Southern University held talks with SU Ag Center Chancellor Leodrey Williams, Executive Vice chancellor and Vice Chancellor for research, Adell Brown, Jr., and other Center officials. They discussed opportunities for establishing collaborative research efforts and scientist exchange program. Other Ag Center employees present at the meeting were: Calvin Walker, animal science professor; Kit Chin, plant science professor; Kamran Abdollahi, urban forestry professor; Fatemeh Malekian, nutrition professor; Andra Johnson, urban forestry professor; Yemane Ghebreiyessus, urban forestry professor; Oscar Udoh, Coordinator for Planning and Evaluation; Renita Marshall, animal science professor; and Shonta Manuel, research associate, animal science. Also joining the discussion was Dr. Osman Kandara, professor of computer science and Southern University Liaison for Turkey. Southern University has already entered into a three-year faculty and student exchange program with the Turkish university. Baton Rouge, LA – Lieutenant General Russel L. Honoré, US Army (Retired) met with officials at Southern University Ag Center on Tuesday, September 17 to talk about working with small farmers in Nigeria in the area of milk and vegetable production. The General suggested a number of models that could work in Nigeria including a sustainable career model which involves establishing cooperatives. He was contacted by a small business seeking technical assistance and training to boost production. 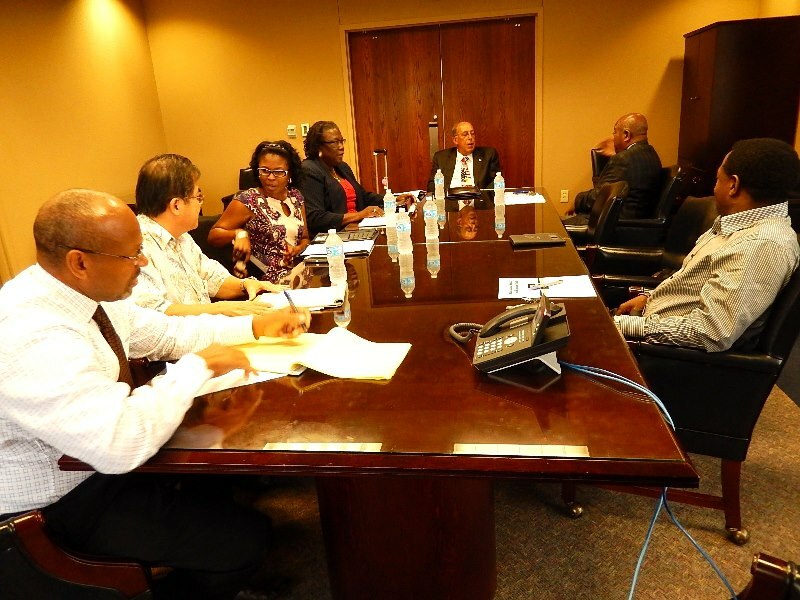 The initial meeting consisted of Leodrey Williams, Chancellor; Adell Brown, executive vice chancellor and vice chancellor for research; Gina E. Eubanks, vice chancellor for extension; Kit Chin, professor of plant science; Renita Marshall, associate professor of animal science; Oscar Udoh, coordinator for planning and evaluation; and Bridget Udoh, communications specialist. Honoré said he came to the SU Ag Center because he knows that we work with small farmers in Louisiana with expertise in vegetable production and community gardening, and will put together a sustainable plan that the Nigerian small farmers can adopt. He also suggested that the Center looks into expanding its goat production in light of the “food renaissance” in the country with changing demographics and high demand for goat meat. Goats can also be used to keep landscape clean while producing meat to ethnic restaurants. 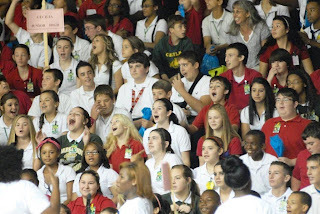 Baton Rouge, LA – Today in Lafayette, the Southern University Ag Center welcomed students, faculty and staff from schools in Avoyelles, Evangeline, Lafayette, Pointe Coupee, St. Landry, St. Martin and Vermillion Parishes to its 13th Back-to-School Summit for 8th graders at the Blackham Coliseum. The theme for this year’s event was “Reach for the Star in You!” Danna Andrus "Dr. Truth" served as Keynote speaker; other speakers included Kwame I. Asanté, Attorney and Mentor; Byron Starks, Coach and Mentor; and Den Hussey, Motivational Speaker served as MC. Highlights included a surprise visit by Mini and Mickey Mouse, and zydeco performance by Leon Chavis, recording artist. Also prominent at the event were welcoming greetings by Senator Elbert Guillory, LA State District 24; and Chancellor Leodrey Williams of the SU Ag Center. Michael D. Jackson, retired NFL (Baltimore Ravens) Wide Receiver, stated in his presentation that “wisdom is the application of acquired knowledge.” He further emphasized to the students, the importance of listening to teachers and applying the information to set goals, aim high and reach for the stars. 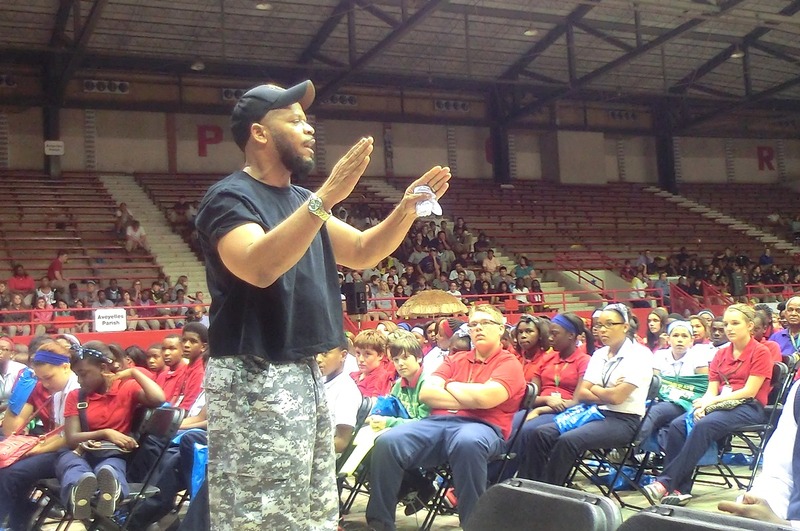 Almost three thousand student attendees received informational brochures along with school supplies from various agencies while learning from motivational speakers and video presentations. Topics of discussion included a wide range of healthy living tips, from sexual conduct to drug abuse. The goal of the program is to give young people health alternative choices in life. The program targets eighth-graders because they are on the edge of becoming teenagers. Also in attendance were participating agencies and programs from around surrounding parishes that turned out to show their support. 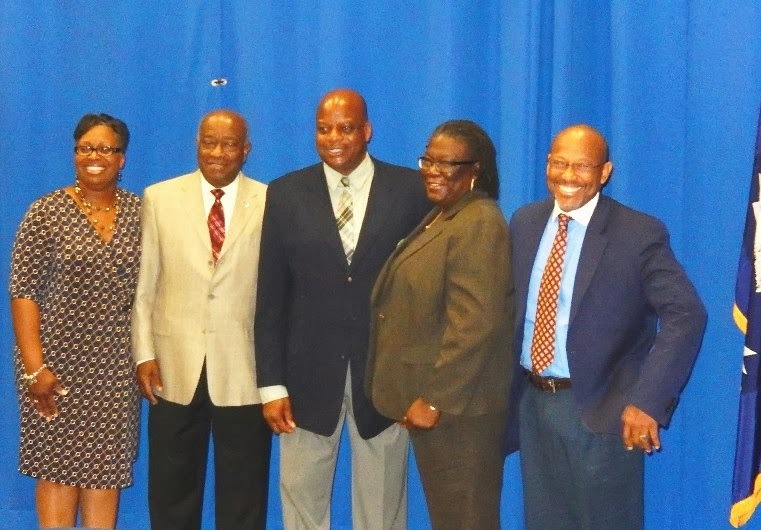 This annual summit is organized by the Southwest Center for Rural Initiatives, the satellite arm of the Southern University Agricultural Research and Extension Center, under the leadership of Dr. Wanda Burke. Its mission is to improve the socioeconomic wellbeing of citizens in rural communities within a ten-parish region of Southwest Louisiana. The Center, located in Opelousas, performs functions consistent with the SU Ag Center’s mission of conducting basic and applied research and disseminating information to the citizens of Louisiana. Baton Rouge, LA- On Sept. 4, 2013, Agriculture Secretary Tom Vilsack released a statement about Household Food Security in the United States as of 2012, based on the USDA Economic Research Service analysis. The report underscores the importance of programs such as the Supplemental Nutrition Assistance Program (SNAP) that have helped keep food insecurity from rising, even during the economic recession. Vilsack vouched that “…USDA will continue to deliver a strong nutrition program with an error rate that is at a historic low." This fall, the Southern University Agricultural Research and Extension Center’s Nutrition and the Supplemental Nutrition Assistance Program Education (SNAPEd) team is implementing gardens across the state. Residents of Avoyelles, St. Landry, Evangeline, East Baton Rouge, East and West Carroll Parishes are among those using the program to reduce food insecurity. Each garden is tied into Nutrition Education classes encouraging youth and adults to each fresh produce, especially to grow the fruits and vegetables by themselves. The SNAP program at SU Ag Center is led by De’Shoin York-Friendship. For further details, contact Friendship at 225-771-2582 or via email deshoin_york@suagcenter.com. The ERS’s definition: “Food security means access by all people at all times to enough food for an active, healthy life.” An estimated 14.5 percent of American households were food insecure at least some time during the year in 2012, meaning they lacked access to enough food for an active, healthy life for all household members. For the full story, follow the link to read Household Food Security in the United States. 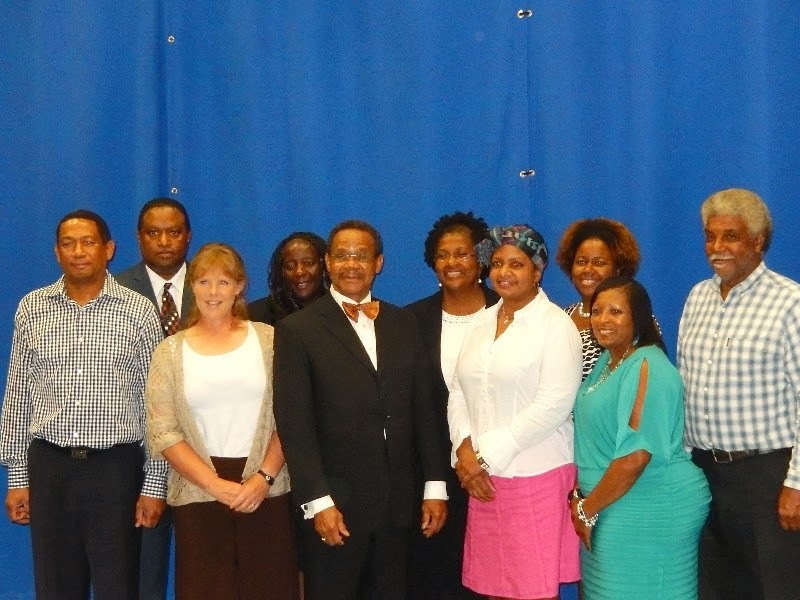 Baton Rouge, LA - The Family & Youth Development Program at Southern University Ag Center will hold its 13th Back-to-School Summit for 8th graders on September 12, 2013, 8:30 am-1:00 pm at the Blackham Coliseum, 2330 Johnston Street, Lafayette. The theme for this year’s event is “Reach for the Star in You!” Featured speakers include Danna Andrus "Dr. Truth"; Kwame I. Asanté, Attorney and Mentor; Byron Starks, Coach and Mentor; and Den Hussey, Motivational Speaker. The Southwest Center for Rural Initiatives which organizes this annual event is the satellite arm of the Southern University Agricultural Research and Extension Center. Its mission is to improve the socioeconomic well-being of citizens in rural communities within a ten-parish region of Southwest Louisiana. The Center, located in Opelousas, performs functions consistent with the SU Ag Center’s mission of conducting basic and applied research and disseminating information to the citizens of Louisiana.